Fork from »Association UI: Editor« with different UI design. 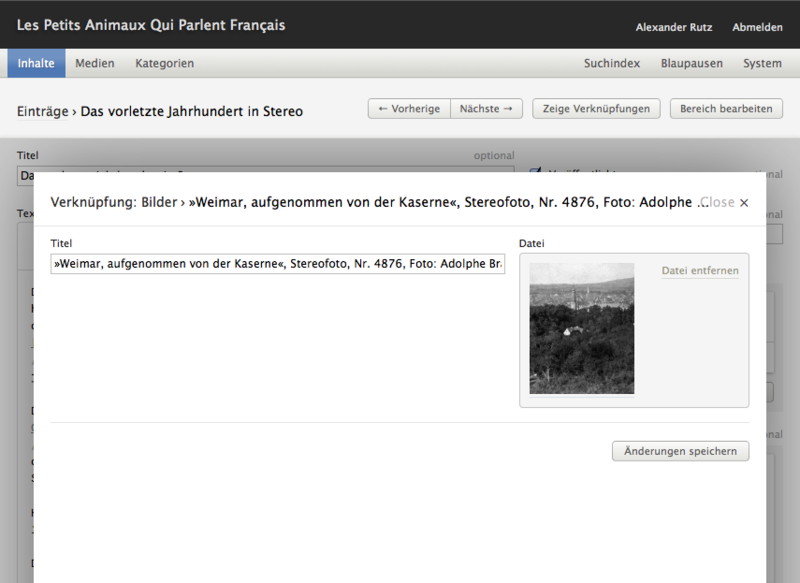 Needs to be used together with Association UI: Selector (Materie)! Editor offers an interface to open and edit existing or create new associated entries. It is a companion to the Selector interface and works with core select boxes and tag lists as well as with Association fields. Upload Editor to your extensions folder. Enable Editor in the backend. Add an associative field to your section and choose one of the editors. Please keep in mind that interface are only available in combination with dynamic values, if you are using default select boxes or tag lists. Each associated entry will offer a page icon that opens the editor on a separated page on click. If you've enabled entry creation an additional button will be added for that purpose. In order to close the editor you can either hit the close button in the upper corner of the page or you can click outside the Editor page. This project has kindly been funded by Bernardo Dias da Cruz, Ben Babcock, Juraj Kapsz, Daniel Golbig, Vojtech Grec, Andrea Buran, Brendan Abbot, Roman Klein, Korelogic, Ngai Kam Wing, David Oliver, Patrick Probst, Mario Butera, John Puddephatt, Goldwiege, Andrew Minton, munki-boy, Martijn Kremers, Ian Young, Leo Nikkilä, Jonathan Mifsud and others. Read more.